Get things done on the go with the Yoga 720 (13). At only 1.3 kg, the stylishly compact Yoga 720 boasts powerful processing, cutting-edge ports, and the convenience and security of an optional fingerprint login. You'll enjoy stunning visuals and sound, thanks to a 4K display and premium, enhanced speakers. Whether you're browsing the web, streaming a movie or working on your own creations, we've got you covered. Featuring a sleek aluminium finish in Platinum, Iron Grey or Copper, the iF Design Award-winning Yoga 720 will always suit your style. 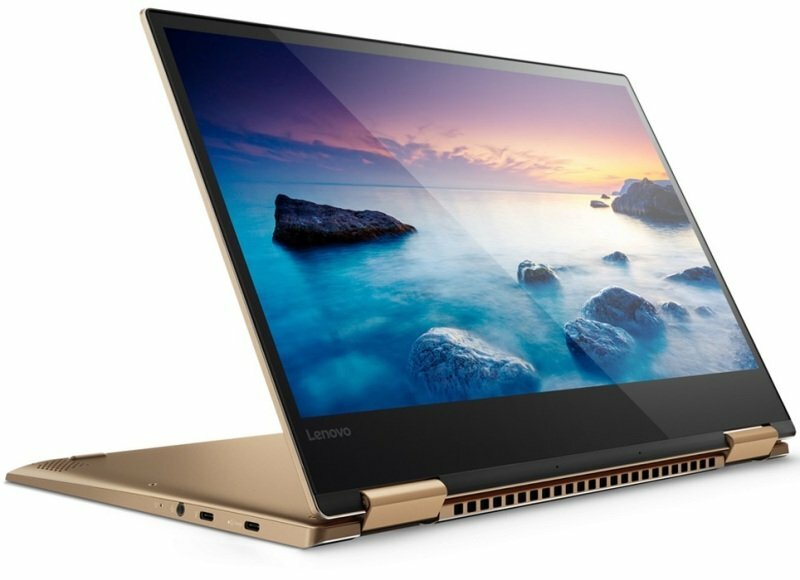 And it'll transition with your schedule too, thanks to a 360-degree hinge that makes it easy to browse the web in tablet mode, power through projects in laptop mode, or switch into tent mode when you want to kick back and stream a movie. Whether you're zipping between appointments or working at a cafe, you'll have more than enough battery life to keep going. And the Yoga 720 comes with an always-on USB 3.0 port, which means you'll be able to charge your favourite devices even when your laptop is powered off. You'll never feel anchored to an outlet. Enjoy stunning colour and detail with up to a 4K Ultra High Definition screen, edged on three sides with razor thin bezels that maximize your viewing experience. Watch a movie, or video chat with a friend three continents away. You'll see every detail in startling clarity.